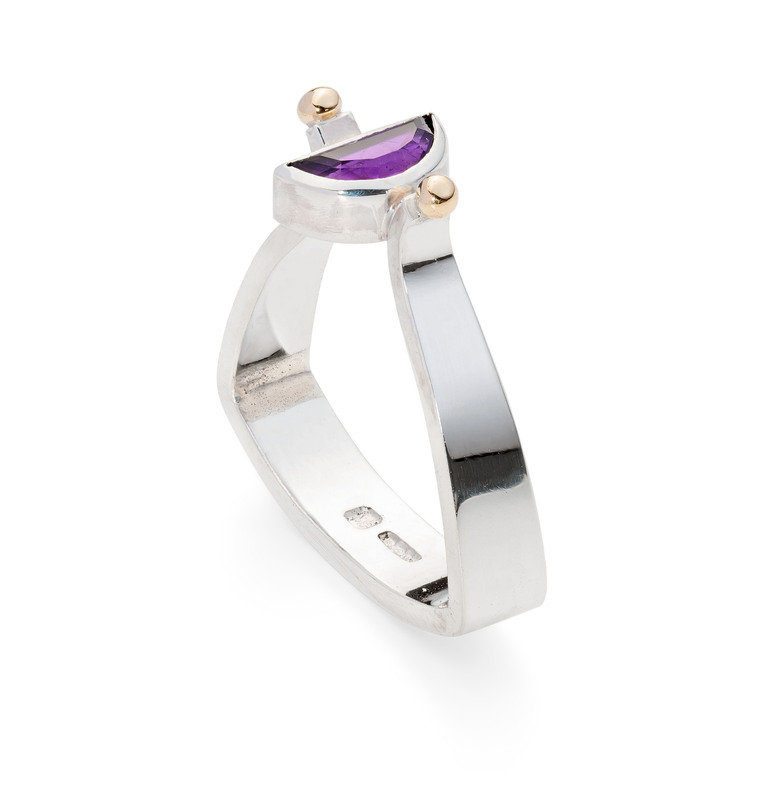 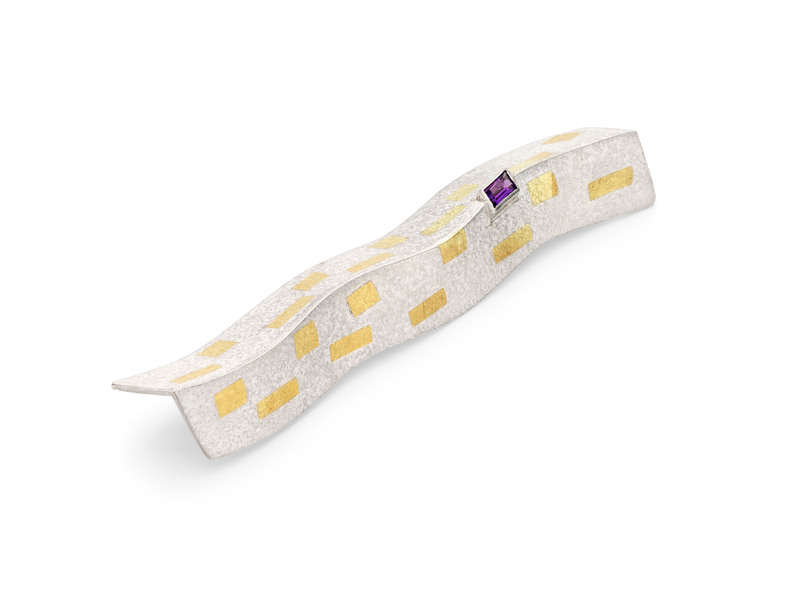 Brooch, folded silver with applied gold with set amethyst. 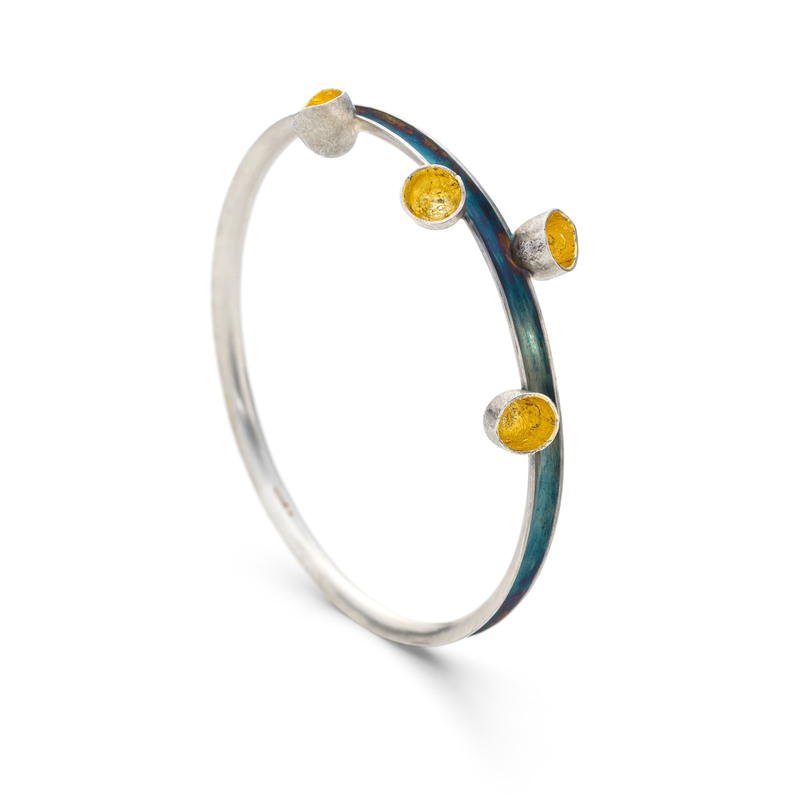 Bangle, anticlastic silver with attached pods gold leaf oxidised. 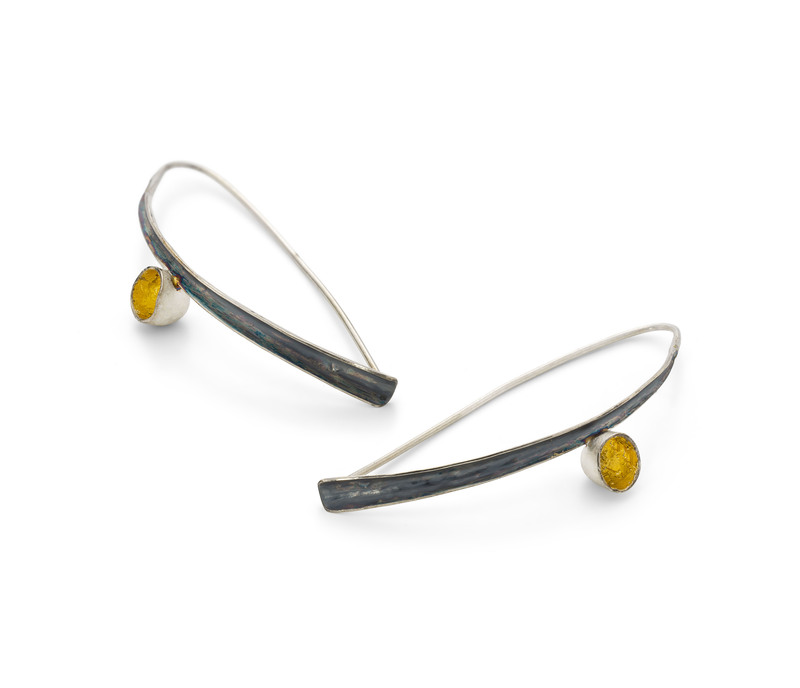 Earrings, anticlastic silver with pods gold leaf oxidised. 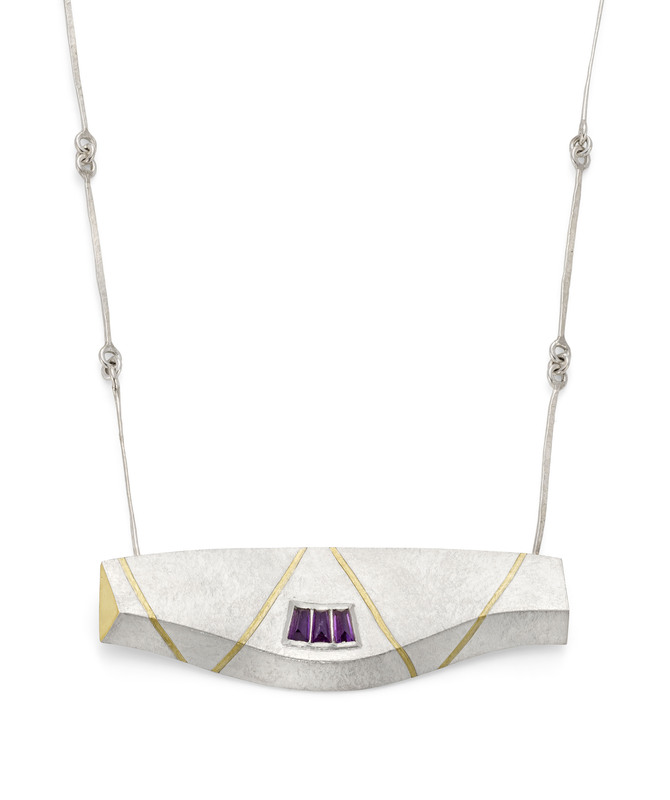 Necklace, folded silver with applied gold and set amethyst, hand made chain. 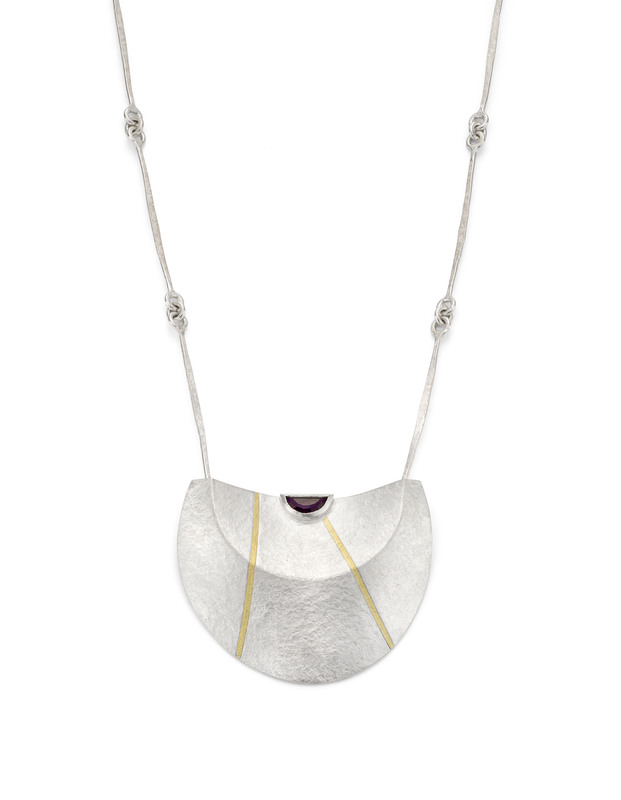 Necklace, folded silver with applied gold set with amethysts, handmade chain. 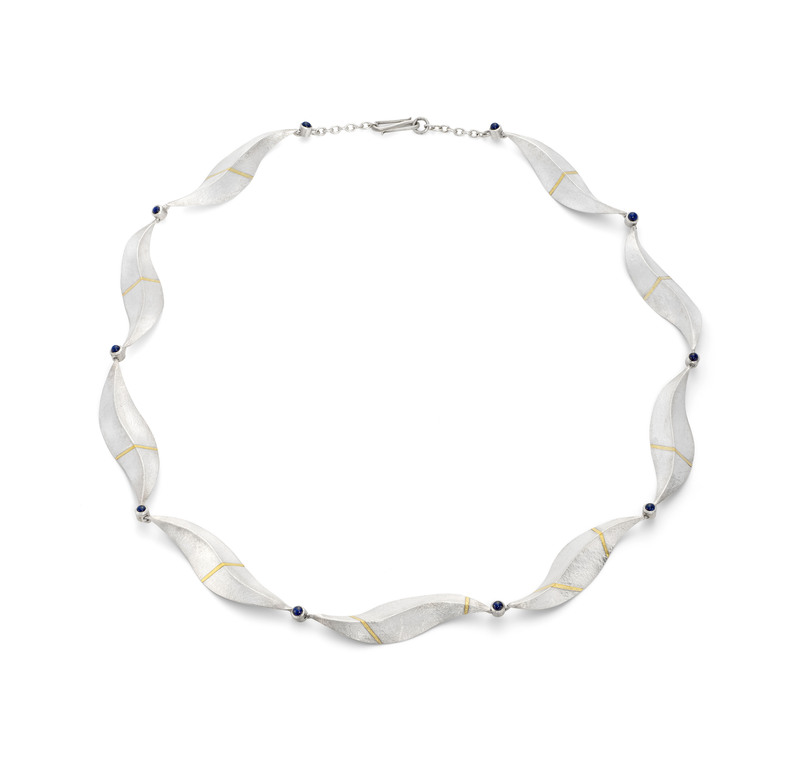 Necklace, silver raised pod with applied gold, gold leaf handmade chain. 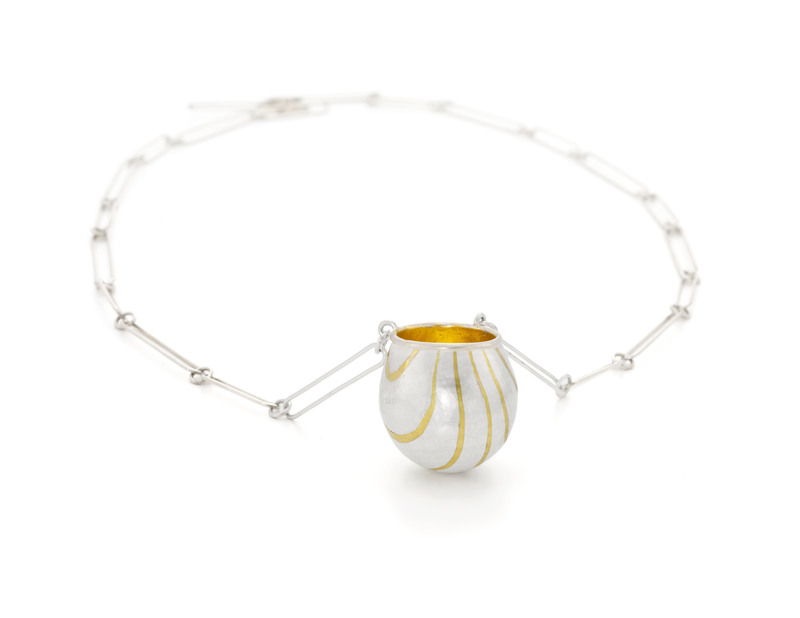 Martin has worked as a jewellery designer and manufacturer for many years making jewellery, silverware, medallions and awards for individuals, exhibitions, companies, with pieces in national collections, including Victoria and Albert Museum, The National Museum of Scotland, Nottingham Castle Museum and The Worshipful Company of Goldsmiths.